YES...this winter is LONGGGGGGGGGGGG!!! Which also means that cold/flu season is also really LONGGGGG! ICK!!! If you are trying to get through this icky season, check out these great cold remedies below from Scotties and Mount Auburn Hospital! Then enter the giveaway to win a great prize pack of Scotties Tissue and a $25 gift card! The common cold is accurately named because it is indeed the most frequent infection we encounter. Thankfully Mount Auburn Hospital, a top Harvard teaching hospital and Scotties Facial Tissues are here to bring you their top 10 list of cold remedies to help alleviate your symptoms next time you feel yourself getting sick. The common cold as explained by Stephen H. Zinner, M.D., Director of Medicine for Mount Auburn Hospital in Cambridge, MA is caused by a number of different viruses, and as such is not treatable with antibiotics (which treat infections caused by bacteria). 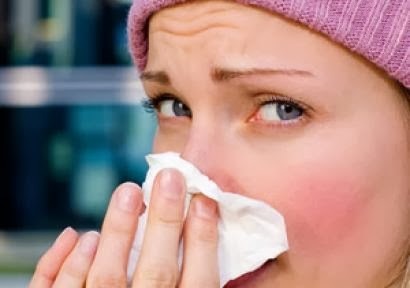 There is no definitive or specific treatment or cure for the common cold, which is an example of a “self-limited” infection, meaning that patients recover when the infection has run its natural course. Humidification – add a humidifier to your home or steam a pot of water in the kitchen. Aspirin or acetaminophen may be useful for the body aches that may accompany the first 24 -48 hours of a cold. Sleep – make sure to give your body the rest it requires to naturally rid the body of a cold. Exercise can be useful to thin out mucus and increase the activity of white blood cells - if the person feels well enough to workout. Warm soup or hot tea can soothe a sore throat. A soft tissue like that from Scotties can help alleviate nasal blockage and congestion. Dr. Zinner says that the usual duration of illness ranges from 5 to 10 or more days, but most people begin to feel better within 24 or 48 hours after the onset of sore throat, runny nose and sniffles. The viruses that cause colds can be spread on the hands of infected persons to other individuals, so frequent hand washing is very useful to prevent transmitting the infection to others or catching a cold from an individual sufferer. Buy It: You can purchase Scotties Tissues at a local retailer near you! Win It: Scotties is generously offering (1) Care Pack + $25 Target Gift Card to a lucky winner!